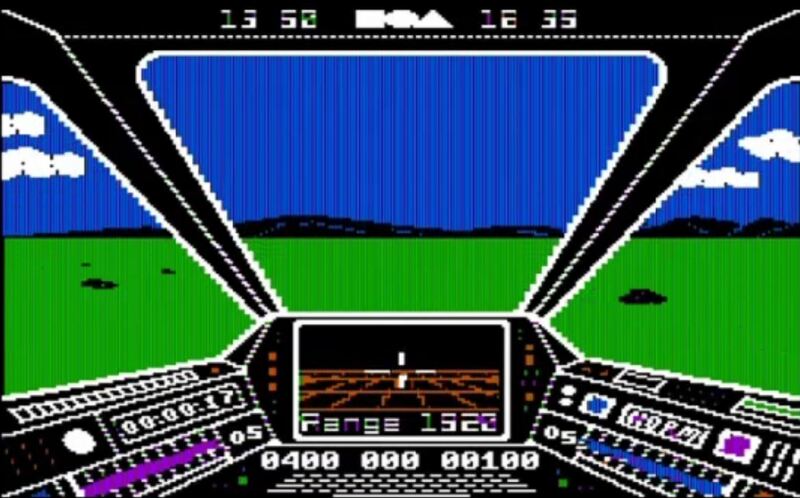 Skyfox was released in 1984 on the Apple II and Commodore 64. It featured a fictional Jet Fighter shooting alien spaceships and tanks. Bit mapped dogfighting.. The enemy planes "flew" past drawn from about 4 perspectives, quite stunning for the time and pushing the 8 bit processor to it's limits.. Needed a full 64K of RAM to run on the Apple II. Takeoff consisted of being launched out of a tunnel! Read about the young programmer Ray Tobey at wikipedia.